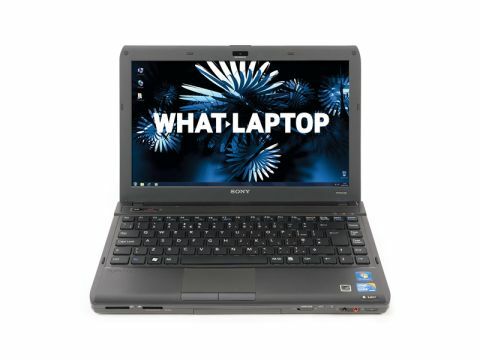 Sony's VAIO Z-Series contains some of the best ultraportable laptops available to buy, but they're extremely expensive. Those not looking to bankrupt themselves on a Sony ultraportable would do well to check out the well-rounded VAIO VPCS139LE/B (£779 inc. VAT), which offers great portability, power and usability. Portability is decent and, although the 303-minute battery life can't compete with the Asus U35JC-RX080V or Apple MacBook 13-inch, it offers more than enough power for medium-length journeys. Having said that, the 2kg chassis is a little on the heavy side, but it won't realistically cause you many issues. Build quality is excellent and the magnesium-alloy chassis is rock solid, providing excellent protection for the laptop's internal components. This also provides a hard base for the keyboard which, along with the Apple MacBook, is one of the best. The isolation style board – whereby each key sticks up through a hole in the chassis – works well, with the keys providing a snappy action and comfortable travel. The screen lid is also strong, protecting the display from bumps and bashes on the road. Colour reproduction is good, as is detail, courtesy of the 1366 x 768-pixel resolution, but we expected a brighter panel from Sony. There's also a shiny Super-TFT screen coating in place, unlike the Toshiba, which tends to create irritating reflections in bright light. The Intel Core i3 processor - the same as in the Asus - provides more than enough performance for everyday work, and those looking to run multiple applications concurrently will be well catered for here – although for ultimate power the Intel Core i5-powered Toshiba here is hard to beat. The integrated Intel chip provides more than enough graphical performance for viewing and even editing your photos. Unlike all but the Toshiba, there's also an optical drive for reading and burning DVDs and CDs. This will no doubt prove a key selling point for those wanting to back up their data to disc or watch DVDs. The 500GB hard drive is generous, and will take some time to fill, unless you have vast amounts of data to carry around with you. The Sony also boasts a wealth of features. There's the VAIO and Assist hotkeys while an ExpressCard slot and FireWire port – the latter being a unique feature – are also included.